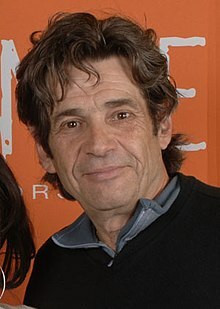 Alan Rosenberg (born October 4, 1950) is an American actor. From 2005 to 2009, he was president of the Screen Actors Guild. Rosenberg is known for making the voice of Boba Fett in Star Wars Episode V: The Empire Strikes Back. Rosenberg was born in Passaic, New Jersey to a Jewish family. ↑ Pfefferman, Naomi (June 6, 2002). "‘Letters’ From the Heart". Jewish Journal.com. http://www.jewishjournal.com/home/print.php?id=8685. This page was last changed on 22 April 2019, at 14:25.